Auckland, 21 September 2013 - Property syndication specialist Oyster Group who recently acquired 100 Harris Road in East Tamaki and will be promoting its latest proportionate ownership scheme to investors over the coming weeks. site accommodating over 16,000sq m of lettable area on a 2.3ha Business Zone 6 site. VIP Plastic Packaging is a wholly owned subsidiary of large Australian multi-national packaging company PACT Group. 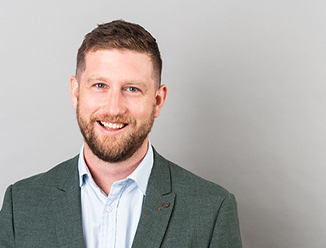 They own a range of plastics and metal packaging businesses currently operating in 60 sites throughout Australia, New Zealand, Singapore and Thailand. Oyster Group is offering 114 units at $100,000 each and projecting annual pre-tax returns of 8.5%. Oyster purchased 100 Harris Road for $21,037,500 representing a yield of 7.26% and will fund the acquisition with equity raised through the subscriptions as well as a bank loan. 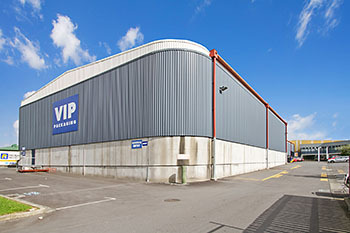 The property itself is a well-constructed full drive-around industrial facility that houses the VIP Packaging’s considerable plant. It has recently been upgraded to ensure the food-grade packaging facility meets the highest standards required by the food industry. The property serves as both; a manufacturing facility, as well as storage and distribution hub for several Auckland based PACT Group businesses. East Tamaki is experiencing exceptional growth over recent years in some parts due to the large Highbrook Business Park, this growth will continue throughout the area and also expand to Wiri. The $1,527,997 annual Triple Net lease to VIP Plastic Packaging (NZ) Ltd commences on a 12 year term as of the settlement date and has annual fixed growth of 3.5%. The triple Net lease structure, not uncommon with lease-back scenarios of complex manufacturing business also gives the investors the peace of mind around any deferred maintenance issues or ongoing capital expenditure as this is all borne by the tenant. Bruce Catley, Managing Director of CBRE’s South Auckland office confirms “there is considerable demand for Industrial property at the moment. It’s resilience over the GFC has highlighted the fact many portfolios are under-weight from an Industrial perspective. To be able to secure a large facility of this nature, on the lease terms secured is a real coup” The lease is secured by a guarantee to parent company PACT Group Pty Limited and has one further right of renewal for five years.